The Irish love potatoes and there are numerous recipes using them. 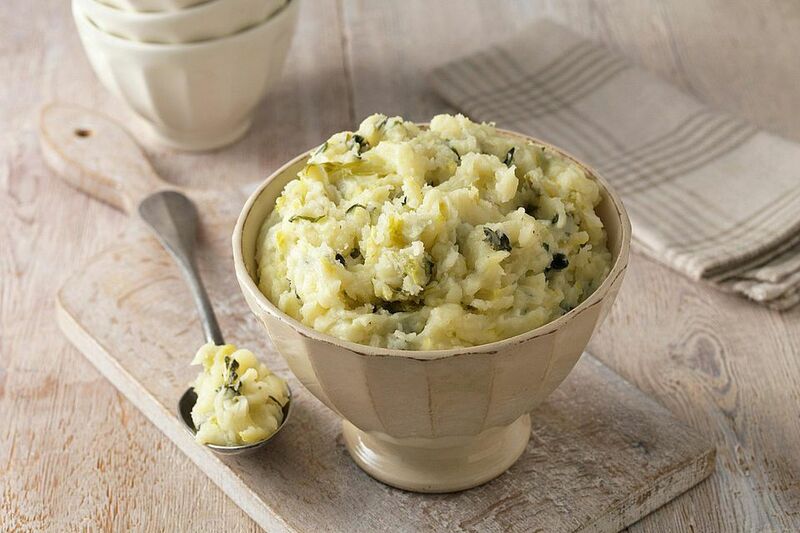 Champ, like colcannon, is another way of using potatoes either fresh or leftover and this Irish champ recipe shows just how easy it is to make from scratch. It is a great side dish that can be served alone or as you would do with bubble and squeak—pop a fried egg on top. Simmer the potatoes in lightly salted water until cooked (when pierced with the tip of a sharp knife, the potato is soft in the middle). This will take about 20 minutes depending on the size of the potatoes. Finely chop the white part of the green onions and roughly chop the green part. Set aside. Drain the potatoes in a colander. Place both butter and milk into the same pan and heat gently until melted. Add the potatoes back to the pan and mash until smooth and creamy. Be careful of over mashing as the potatoes can end up gluey. Add the finely chopped white part of the onion and mix well. Season well with the salt and pepper to taste. Serve with the green part of the onion sprinkled on the top.